Actions resumes in Minsk, who will catch the eye on Day Two? If you enjoyed what proved to be a superb opening to the 2018 ITTF Challenge Belgosstrakh Belarus Open in Minsk then you're going to love what's coming your way on a jam-packed Day Two with Singles, Doubles and Under 21 action all featuring on Friday 16th November. Escaping early disappointment with a narrow 4-3 victory in the opening round of the Women’s Singles tournament, no.12 seed Yana Noskova will be hoping for a slightly less stressful experience when she takes to the table for the second time in Minsk. However, with the player seeded six positions lower, Croatia’s Mateja Jeger awaiting in the Round of 32 could life be about to get tricky for the Russian? Another seeded competitor from Russia involved in the upper section of the draw is Polina Mikhailova – the no.6 seed meets Japanese qualifier Miku Izumo, a player who has upset the order once already with her victory over Alina Nikitchanka and will be looking to knock-out seeded opposition for the second consecutive round. In the opposite half of the field third seed Chen Szu-Yu meets Wan Yuan, seeded 28th, for the first time on the international stage and the home crowd will be throwing their full support behind the sole Belarusian left standing in the category Daria Trigolos, who takes on Maki Shiomi in a battle of the no.20 and no.14 seeds. Responsible for the biggest upset of the opening day with his elimination of second seed Kirill Skachkov, on Day Two Poland’s Patryk Zatowka will be looking to carry that momentum forward into the last 32 of the Men’s Singles event when he faces fellow qualifier Leonardo Mutti at the foot of the draw. 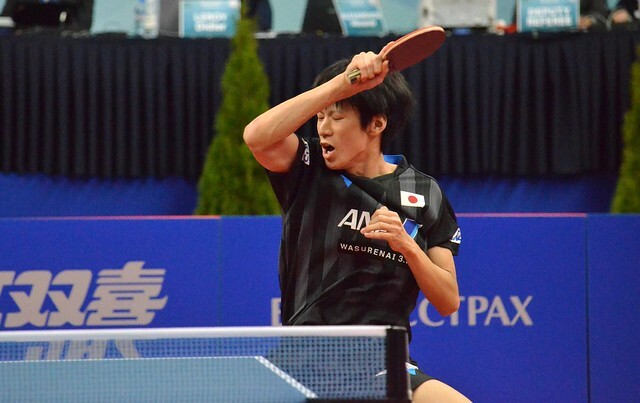 Lubomir Pistej was pushed hard in his introduction in Minsk and the no.4 seed from the Slovak Republic could be set for another severe challenge on Day Two in the form of Japan’s Kenji Matsudaira. Another player to keep an eye on from the Land of the Rising Sun is 15-year-old Kakeru Sone, who will test his ever-improving skills against no.13 seed Tomas Konecny. The two highest seeded players left remaining in the Men’s Singles competition also face opposition from Japan as top seed Kou Lei and third seed Nima Alamian go head-to-head with Shunsuke Togami and Masaki Takami respectively while the encounter between no.8 seed Robin Devos and young Indian ace Manav Vikash Thakkar should also prove a fascinating watch. Day Two sees the two doubles competitions officially get underway with Round of 16 action and the line-up for the Under 21 Men’s Singles and Under 21 Women’s Singles finals will also be decided.